I recently imagined a useful accessory. Suppose you need an fast shutter and low İSO photo but your APSC camera doesn't help much nor does your telephoto lens with very small aperture in the middle of the night. My idea for a solution is attaching an triangle shaped lens thingy to the tip of your telephoto lens, just like an filter or an lens cap — but it collects light. Did I just invent the light collector or does it already exist? There's already something that has been invented to collect light for photographs. We call them lenses. 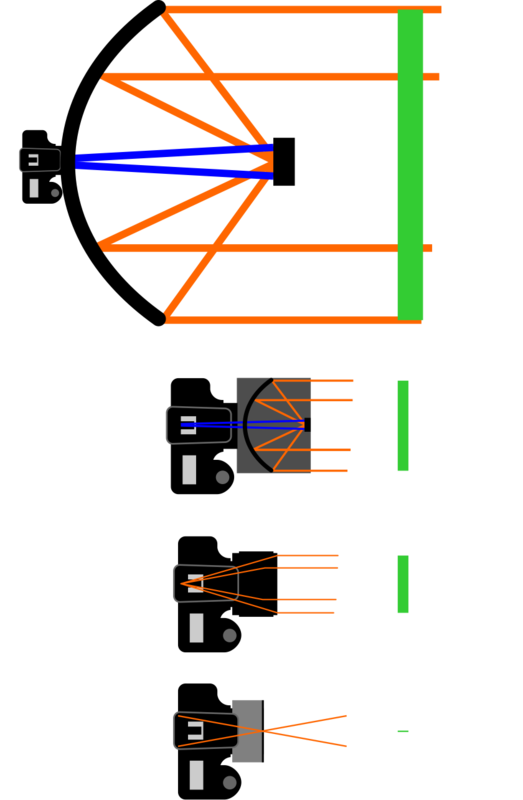 In order to collect more light, the front element of the lens must be larger for the same focal length, or have a wider angle of view for the same entrance pupil diameter. As you edited your question it gives me more room. The same as a parabolic mic, any mirror lens do the exact same thing. It takes parallel rays coming from a distance, and focus them on a smaller spot... the focus point. Ever heard about the Hubble telescope? A mirror lens collects light. The James Web telescope I am mentioning this specific telescope because it uses an array of mirrors... to collect more light, but the overall shape is a section of a parabolic mirror. The array is not meant as an additional attachment, but it is planned as such from the start because this light must be focused at the exact same spot. But an optical lens also collects light. 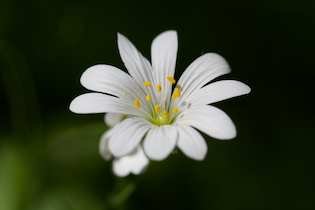 The bigger the better, that is why a big aperture collects more light than a smaller one. A slow shutter speed gives the sensor more time to collect light. I understand your analogy to a parabolic mic. But there are some differences. Yes, you can have parabolic reflection stuff... a wall, a fruit plate, or a dedicated plastic parabolic attachment... and one microphone. This microphone can actually work independently of the parabolic attachment, to pick closer sounds. The pure sensor is the equivalent of the mic membrane. But a difference is that it needs a focused beam to actually work. Any big telescope is a mirror telescope, but you do not put the camera in front of the reflector, but you put an additional mirror to put the camera behind. But also the normal lenses. But they do this by refracting light instead of reflecting it. The bigger the lens the more light it can collect. The simpler camera without any lens is a pinhole camera... but the area that receives light must be really tiny to produce any decent image. Any lens is a device made to collect more light... than a smaller one. I also mentioned the shutter speed. But photography compresses time... you can collect photons across 22 days, to produce a single photo. There's no substitute for getting a good lens. Any light gathering tricks that can be implemented without ruining image quality are already built into good lenses. 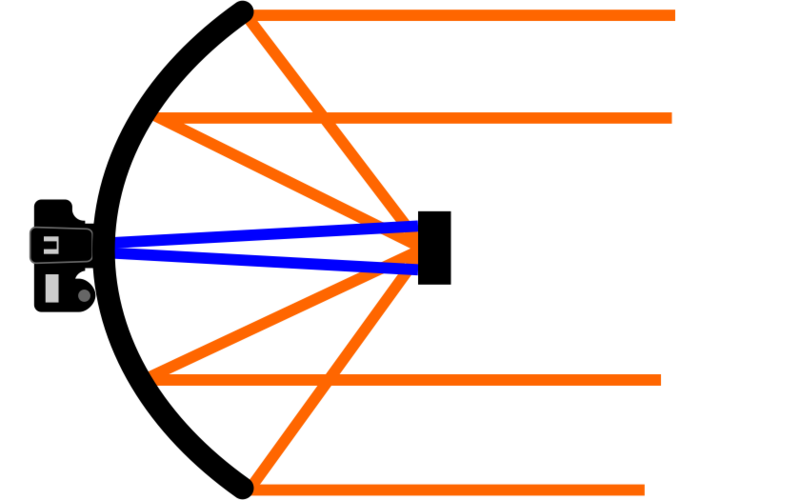 A "light-gathering" device that attaches to the front of a lens is a wide-angle conversion lens. As in the name, they change the field of view. They also usually significantly degrade image quality. They're basically toys that aren't even worth the cost to ship. You can check your favorite auction site. They're pretty much being given away if you're willing to pay the cost of shipping. A device that attaches between the lens and camera would be a focal reducer. They can be useful for using full-frame lenses on crop sensors. Good ones are expensive, but have the potential to improve some aspects of image quality. Another light-collecting device is commonly known as a reflector. You did not invent a "light collector". Your camera cannot interpret anything that isn't visible, so basically your idea boils down to "some contraption that produces a bright virtual image that the camera gets to see instead of the less bright original image". 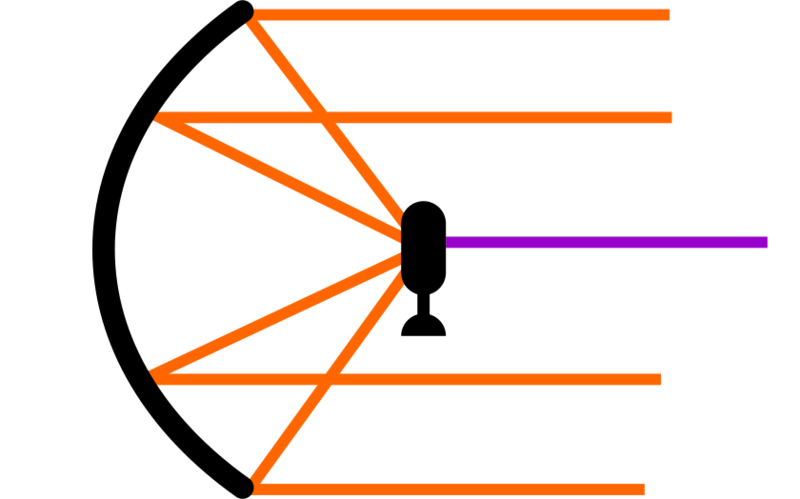 Increasing brightness is only doable by altering the angle of input. So basically you "invented" a telescope with good light yield. Now there are actual screw-on tele conversion adapters maintaining aperture ratio: if you have a tele lens that has slower apertures at the long end, using a tele conversion adapter instead of fully zooming to the long end can actually get you some light value (and associated decreased depth of focus). Some reasonably high quality old screw-on tele converters can thus make some limited sense for converting a not-so-fast tele lens into more of a portrait lens (regarding DoF) as long as the associated loss of quality is not problematic for the intended end product. Note that for interchangeable lenses, there are tele converters that are screw-in-between. Those tend to have better image quality but always lead to a loss-of-light so they are not useful for this purpose. This cannot work since any point outside of the front lens (and actually, outside of the entrance pupil) has a different perspective from any light inside. So a light ray arriving in a certain direction at a certain point has to be sorted with other light rays arriving from the same source. 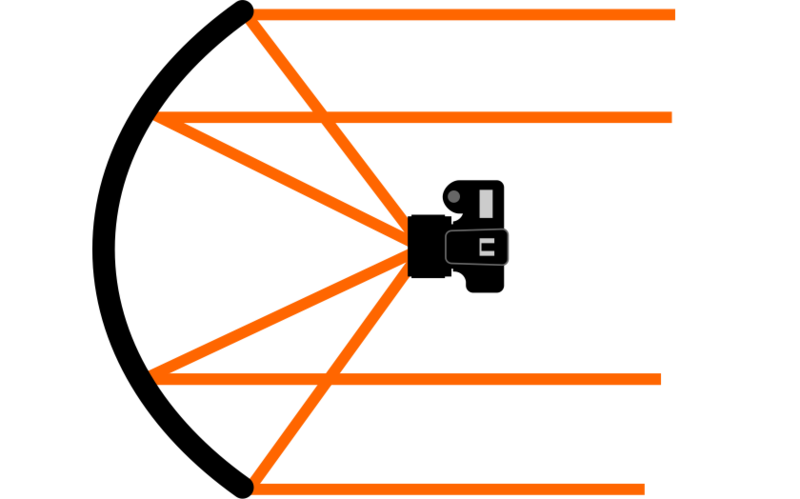 The normal lens does this by assuming a focusing distance: all rays arriving from that distance on the front lense and admitted through the entrance pupil are collected into a single point on the sensor. Your light gathering device does not have the information about the focusing plane so it would not know which light rays it would have to group the additional light rays it collects with. So it could only work if you provided it a focusing plane to work with: it could not be an afocal system. By the time you do that, it is a complete separate camera with its own aperture and focus information or, since it provides a bright virtual (rather than real) image for the actual camera to look at, a complete separate telescope. Why combine two lenses in that manner, with two separate apertures and two focusing mechanism when a single lens designed with the same overall specifications would likely work better since it would not have to do all the same corrections and operations twice? Mind that the aperture of a lens is directly related to front element diameter - it is physically impossible for a lens system (including anything attached to it) to be faster than focal length divided by front element diameter. If a device as you suggest was at all possible (without reducing effective focal length), it would be an afocal system using the lens behind it as a tube lens (like in an infinity-corrected microscope. Not sure if that approach could work - does it violate conservation of etendue?). Thoroughly impractical, and not cheaper to build than a lens of the desired aperture in the first place - you would need a glass front element just as big, or alternatively a cat(adi)optric system just as hard to make as a complete cat(adi)optric lens for that focal length and aperture. Wide angle converters and speedboosters do exist, but these change the effective focal length down, increasing effective aperture size. No — what you are imagining is impossible. (Sadly, saying "It'd be awesome if there were boots which lifted you into the air" isn't the same as inventing anti-gravity boots). You can use a parabolic mirror if all you care about is gathering and concentrating greater amounts of light (like for solar hot water). But that's not what we want for a photograph — we actually care about which light. There is a strict relationship between the amount of light per unit area of your recording surface (sensor or film) and the ratio of the lens' focal length to its (effective) aperture — that is, its f-stop. The only way to get in more light is to reduce the focal length (so you're gathering light from a wider area) or to widen the aperture (so you're letting more light in at once). There's no way to attach something that will "collect light" and result in an image that brighter but otherwise the same. Not the answer you're looking for? Browse other questions tagged lens low-light night accessories night-photography or ask your own question. Why are my city night pics more blurred than I expect, and what can I do about it? Can lens accessories be used interchangeably? What kind of lens are used in mobile phones? Are there any resources or websites for finding areas which have low levels of light pollution at night? Which alloys are used in the Canon EF 300mm f/2.8L? Are there adapters so I can use my lens converters on a Canon entry-level dSLR?